This is a list of sponsors who have been generous enough and have believed enough in this pursuit to have sponsored me. Each of these companies have given so that I might be able to successfully complete the entire PCT. Not only their equipment, but their belief in what I’m doing, will be helping me walk each mile on the trail north. My deep appreciation goes out to each sponsor! Just wanted to add: The Jacks’ just recently sent me a really nice care package with a few goodies inside, including a really cool Jacks’R’Better cap, mini caribiners, as well as a card wishing me luck along the trail and to have fun preparing for the thru-hike. Just talking with these guys, they are a class act all the way, and their gear is top notch. Thanks again, Jack & Jack. Joe at Z-Packs Ultralight Backpacking Gear has been gracious in his willingness to support my hike. He has donated a large cuben fiber food bag to store food in, a cuben fiber shoulder pouch and two smaller pouches to store my camera and my iPod Touch. 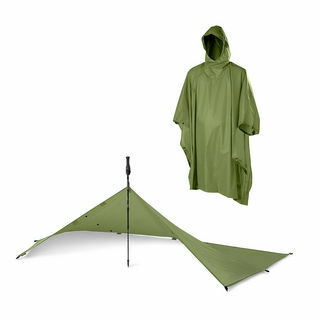 (All these items are made with cuben fiber, the lightest and toughest material for its weight that’s made today). In fact, the iPod Touche dimensions were just a little larger than his pouches were made for, so he custom made a pouch for me…amazing. Not to mention, each of these items are very important and had been things I needed. As you follow along on my hike, you will undoubtedly see his handiwork in some of the pictures. Many many thanks to Joe & the Z-Packs gang. For more info on Z-Packs and their products, click here to check out their website. Many thanks to Rod Java, maker of the StickPic. He reached out unprompted to give become a sponsor for my hike. His product, the “StickPic,” is a great device intended to make taking pictures and video in the great outdoors easier. Made to fit on the end of a trekking pole, the head swivels and ultimately attaches to the hole on the bottom of your camera that is intended for a tripod fixture. Standing still taking a picture on top of a magnificent pass, or shooting video while capturing a 360 degree spinning panorama on top of Mt. Whitney, it helps you capture those moments that you might not otherwise be able to, in a way that creates beautiful images and breathtaking video. It comes in different sizes to match just about any size trekking pole, and is the size of a ring you’d wear on your finger. To read more on the StickPic, here’s a review from Backpacker Magazine from July, 2010. Thanks to Dexter Holland (of “The Offspring” fame) and the gang over at Gringo Bandito Hot Sauce for their willingness to jump into the world of thru-hiking sponsorship with both feet. As I wrote on the home page, I plan on using some Gringo Bandito hot sauce liberally while dehydrating some specific trail snacks, so that when I rehydrate them on the trail they will extra flavor. I’ll be hiking with a bottle of Gringo Bandito the entire PCT. I’m not even going to repackage it. I’ll be the first to ever do so! 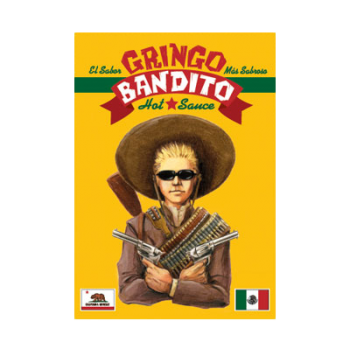 Gringo Bandito will make my camping food pretty fly for a hiker guy. For a little more on Dexter Holland’s foray into the world of hot sauce, read on in this article. He uses fresh ingredients, and it shows. It’s really very, very good. how can normal people sponsor you lovely? yep…. im special, just seen the donate tab!